Look what we found for you on Amazon! 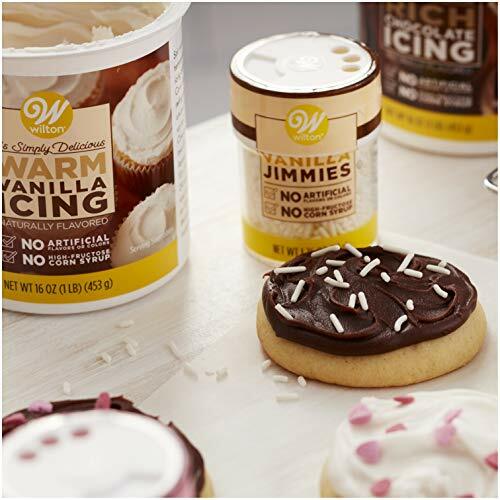 Hurry and get the Wilton Naturally Flavored Cupcake Decorating Kit, 5-Piece today for only $3.84 (just $.77 per item!) from Amazon! No Wilton Coupons needed! Limit 3. This kit includes naturally flavored chocolate and vanilla icings, naturally flavored chocolate and vanilla jimmies plus 75 kraft paper cupcake liners. Decorate yummy cupcakes without any artificial colors, flavors or high-fructose corn syrup using this kit. It includes naturally flavored rich chocolate and warm vanilla icings, naturally flavored chocolate and vanilla jimmies as well as 75 kraft paper cupcake liners. Buy the Wilton Naturally Flavored Cupcake Decorating Kit, 5-Piece from Amazon. Previous articleSalty Snacks Variety Pack Deal!! 54 Bags! Next articleInnovasian Coupons & New (Crazy) Deal at Giant Eagle!